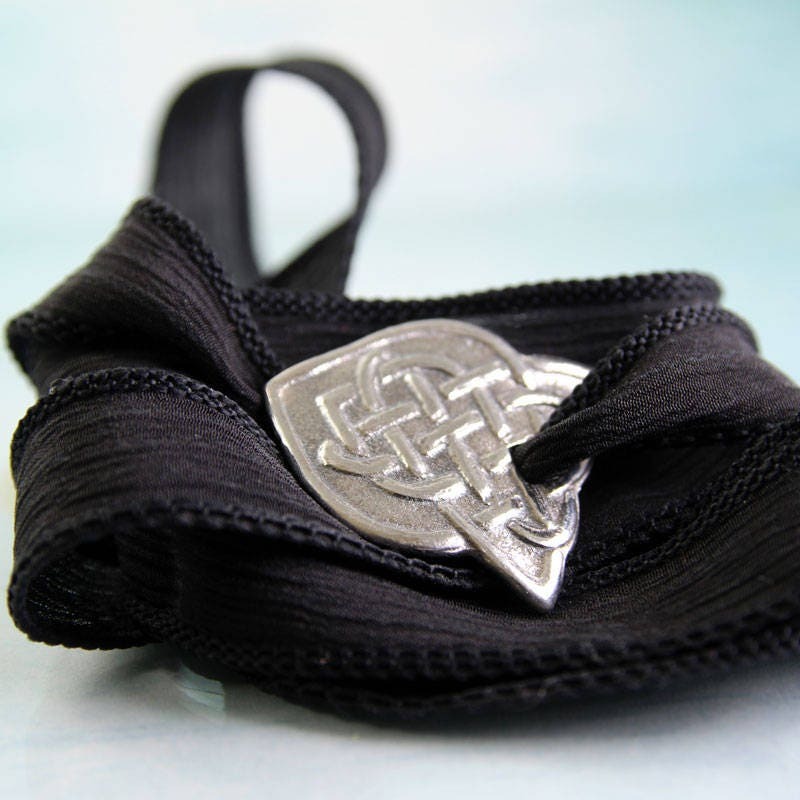 Fine silver slide impressed with a classic Celtic braid pattern. 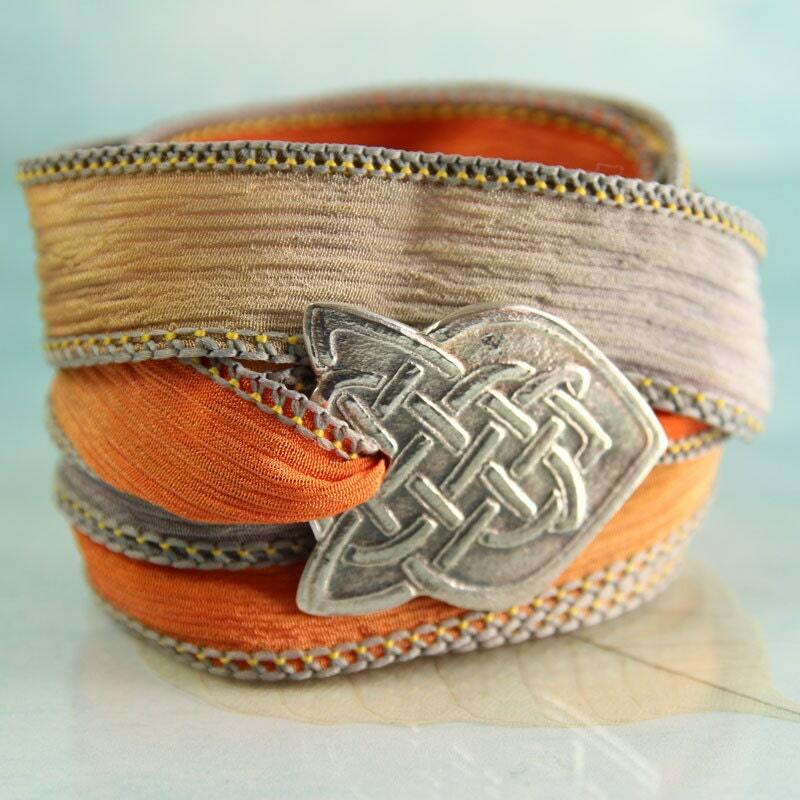 It is secured by a super soft hand dyed ribbon for a beautiful, contemporary and comfortable bracelet. 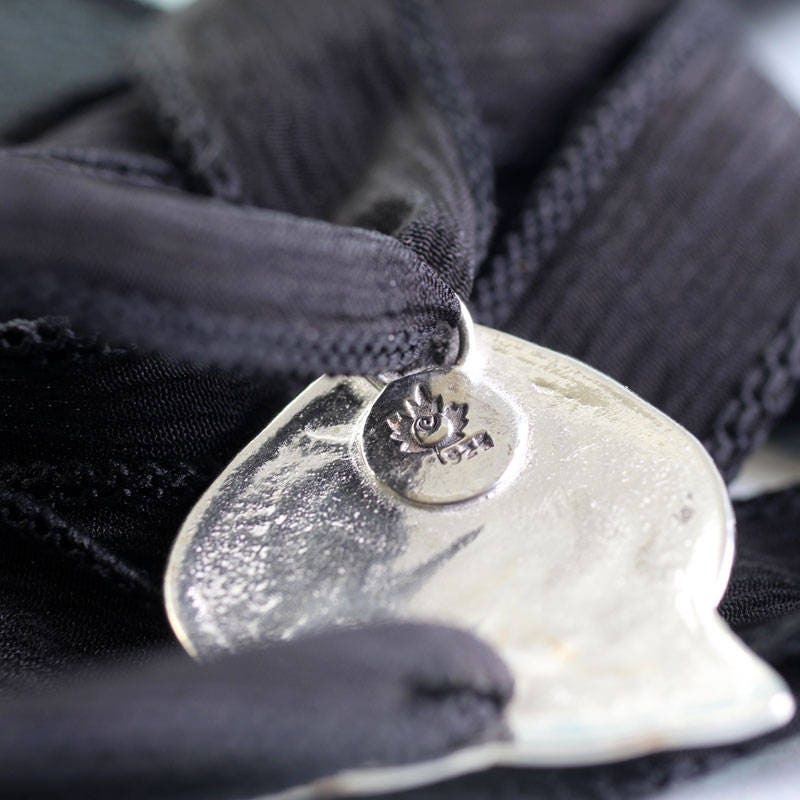 Made from recycled silver the slide is slightly curved to follow your wrist. 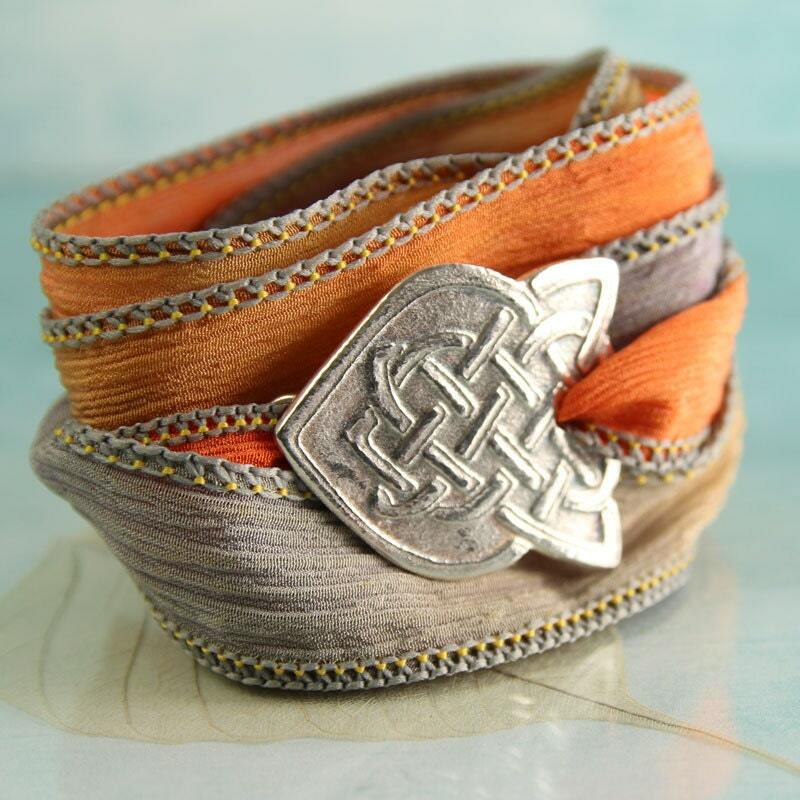 It has been oxidized to bring out the pattern of interwoven knots impressed on the surface. 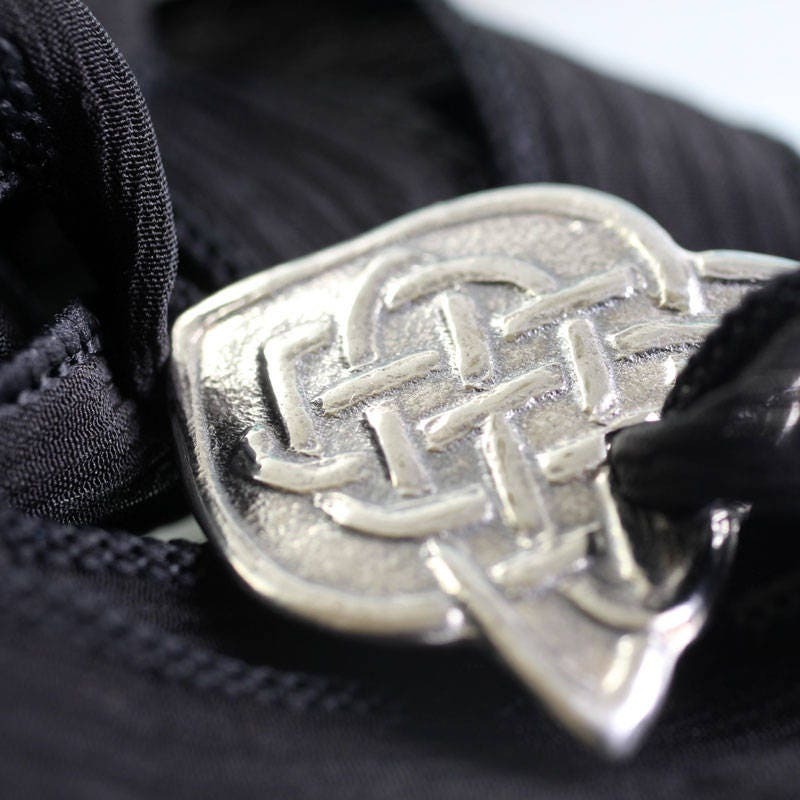 The silver is arrow shaped symbolising forward movement and journeys. 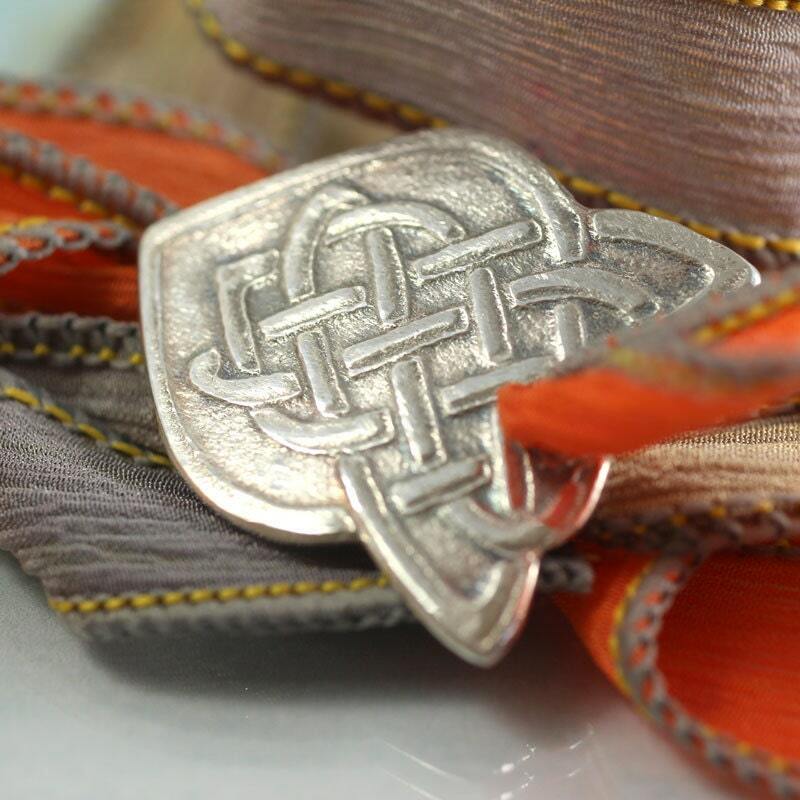 The back bears my makers mark and a hoop for the ribbon also of fine silver. 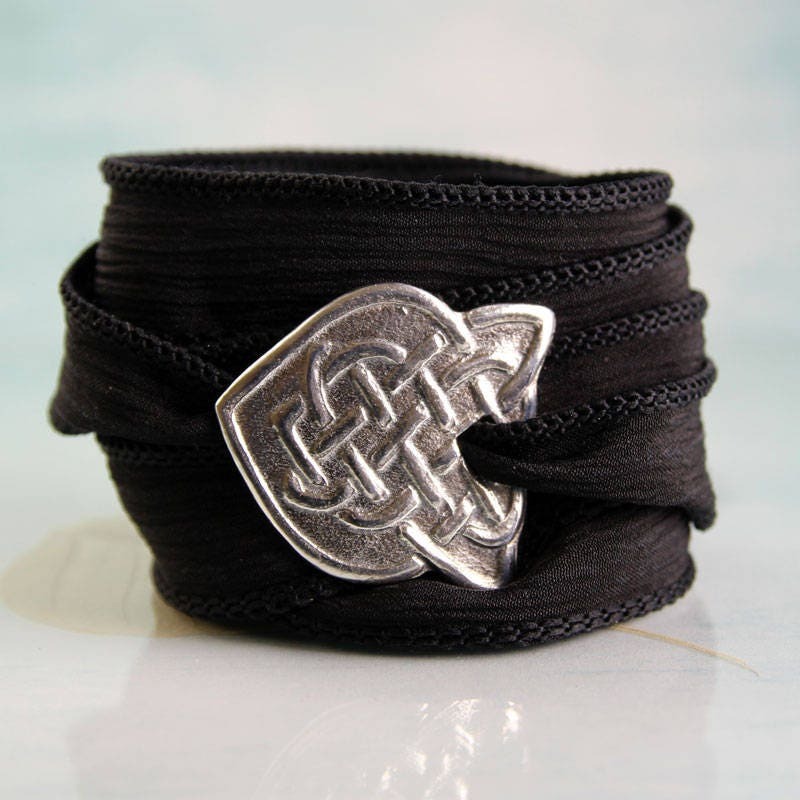 You wrap it to your wrist with a soft crinkle silk ribbon Tie a small knot an tuck in the ends. Very comfortable and very stylish. 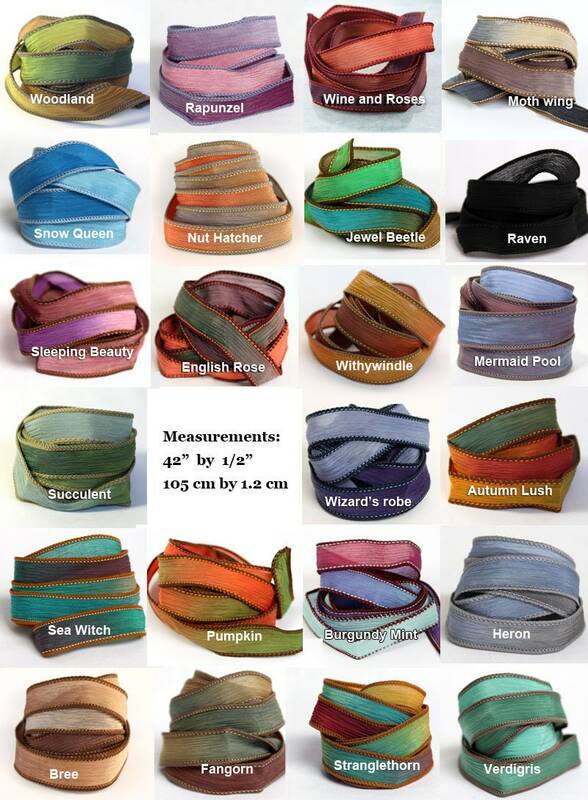 I do not make the ribbons myself (rubbish at sewing) but buy them right here on Etsy. They are hand dyed, hand sewn and handmade. 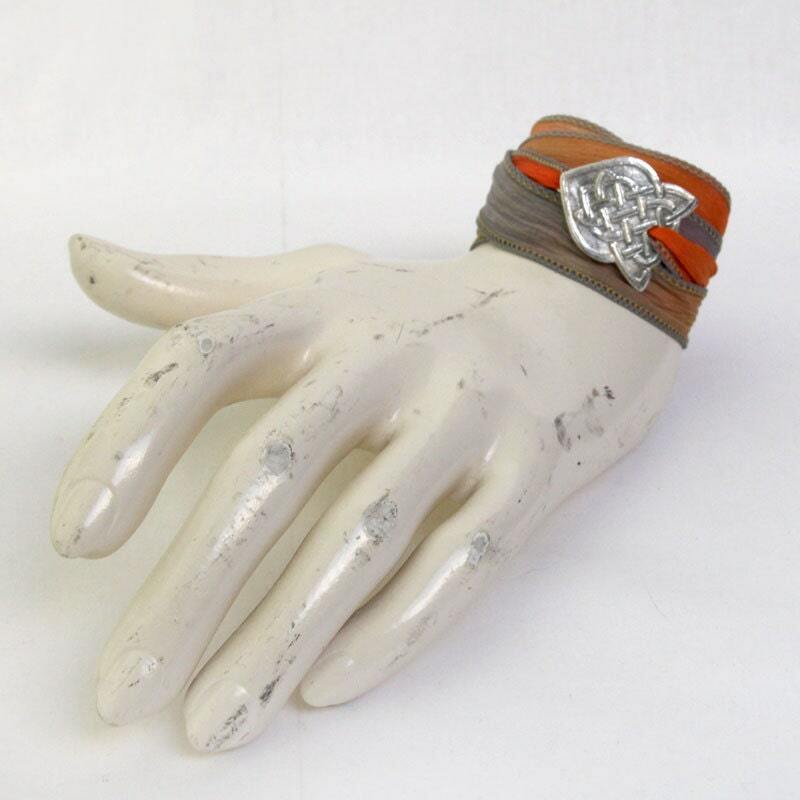 Pictured above are both "Nuthatcher" in pale grey and orange colors - and "Raven" in pure black. The leaf measures 29x32 mm (1.14" by 1.26") and the silk is a generous 95 cm long.